On May 13 2011, presidents and directors of AmCham Member companies from Southern Poland met with the Governor od Małopolska, Mr. Stanisław Kracik at the Woodward facility in Niepołomice (the suburb of Kraków). Woodward who joined AmCham last year is an independent designer, manufacturer, and service provider of energy control and optimization solutions used in global infrastructure equipment, serving the aerospace, power generation distribution, and transportation markets. There was a particular reason for choosing the Woodward facility in Niepołomice as the meeting place and inviting Governor Kracik as the guest speaker. Prior to becoming Governor of Małopolska, Mr. Kracik served several terms as the Mayor of Niepołomice and it is thanks ti his efforts and personal involvement that a small ‚gmina’ on the outskirts of Kraków attracted numerous investors and created a really large economic zone. Mr. Kracik’s charismatic personality as well as dedication and understanding of business issues make him a figure to remember. Since our members operating in the zone constantly evoke Kracik’s name, we decided to bring him back to Niepołomice, even if just for a short meeting to talk about the good old days and discuss some current problems and challenges. The number of American and other foreign investors operating in the zone in Niepołomice surprised even John Lynch, AmCham Board Member and president of Lynka and the US Consul General to Kraków, Mr. Allen Greenberg and so did the impressive Woodward factory the tour of which was conducted by Mr. Dominik Kania, Woodward Managing Director. A relatively new plant combining an engineering section (designing electronics, cabinets and mechanical engineering for Industrial and Aircraft Turbines) with operations (final assembly and tests of electronic products, cabinet assembly and wiring) is yet another example of cutting edge technologies making its way to Polish sites. The meeting participants were surprised by the degree of technological advancement and the high level programing languages ( c, c++ and c#) used in control equipment. 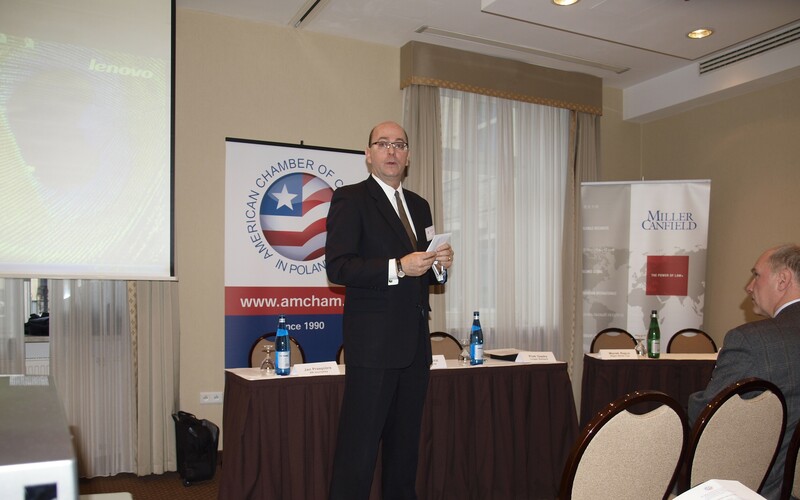 The American Chamber of Commerce in Poland, Krakow Branch and the City of Katowice have the pleasure to invite you to a conference „Metropolia Silesia – Investment and Energy”. The conference will take place in Katowice, on September 17, 2010 at the Angelo Hotel, 24 Sokolska Street. Website of W. E. Loopesco & Associates, Inc.